Therapeutic modalities are performed on patients based on evaluation, assessment, and treatment of individuals with limitations in functional mobility. Physical agents and modalities are often used by your therapist to augment your therapy and to help achieve rehab goals. They may be used to decrease pain and inflammation. Stretches may be prescribed to help improve endurance, strength, or range of motion. Your therapist should be prepared to explain to you the reason for using each therapeutic modality and what to expect from each treatment. When we talk about active treatment, we are talking about body movement - it’s when you’re doing something physically, like strength and stretching exercises. Your therapist might still have their hands on you, but you’re the one that is physically moving. Stretches, strength training, stability training are are all part of active treatment, as well as sport-specific or work-specific activities. Active treatment is really important in the middle to later stages of rehab, or if your pain has been persistent for longer than three months. Passive therapeutic modalities is when something is done to you. Passive treatment implies lack of participation from the individual receiving the therapy intervention. 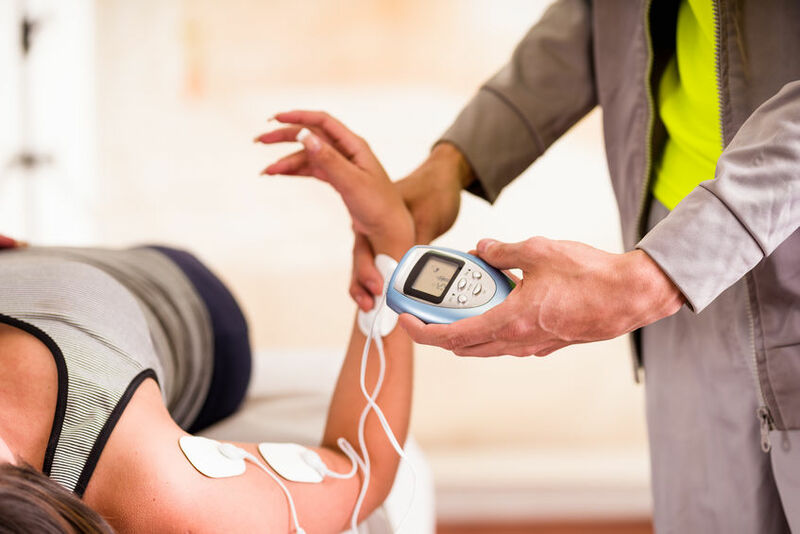 Examples of passive therapeutic modalities include massage, manipulation, acupuncture, dry needling, traction, ultrasound, electrical nerve stimulation, laser, ice packs, and hot packs. Passive therapy always requires another person to apply the treatment.